MEET VARITRON SUPERIOR GEARMOTORS. CYCLO DRIVE, PRECISION GEARBOX IN MUMBAI. 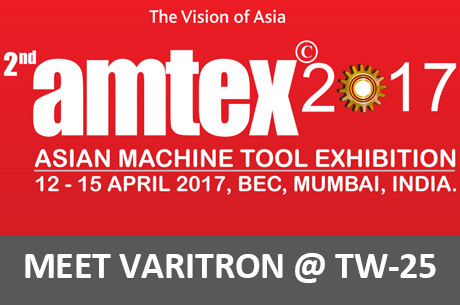 Varitron will be in MUMBAI from 12 April 2017 to 15 April 2017 in Mumbai India in Bombay Exhibition Centre. High precision and high efficiency automation soultion ideal for packaging, cnc machine, water works, lazer machine, automation macinerys and many other application. Meet Varitron in Stall TW-25.